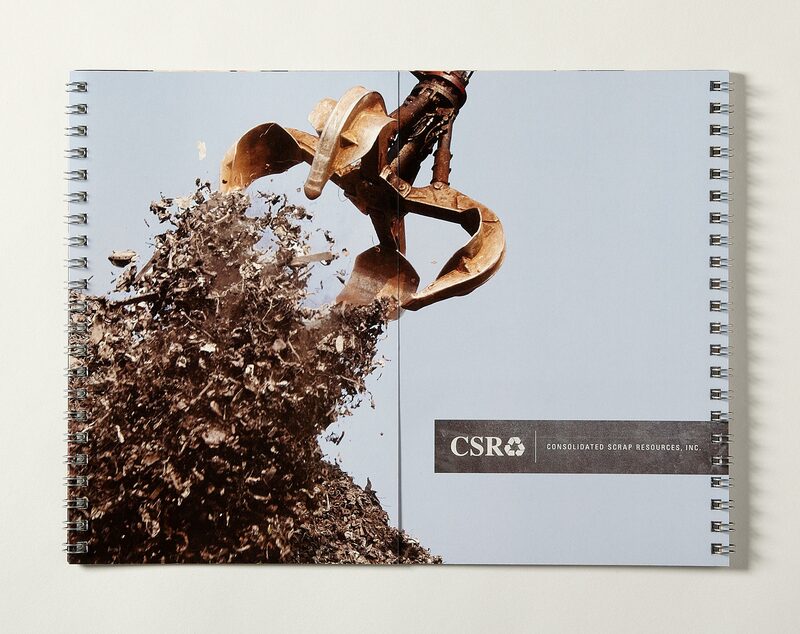 Consolidated Scrap Resources – Projekt, Inc.
At the end of the day, it’s our job to make things memorable, no matter what. 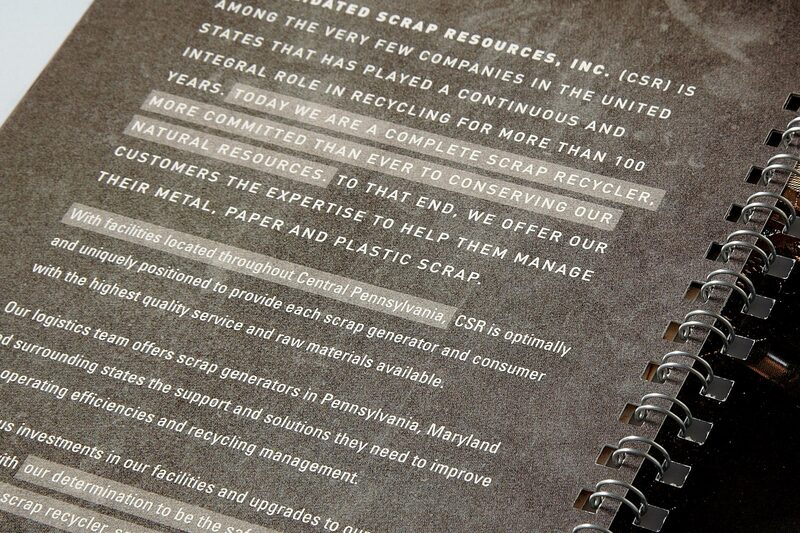 Which is exactly what we did for our clients at CSR, a full service recycler in Pennsylvania that’s committed to conserving our natural resources. So we dug in, committed to a labor-intensive approach, and landed on a unique double-spine, Wire-O bound brochure. 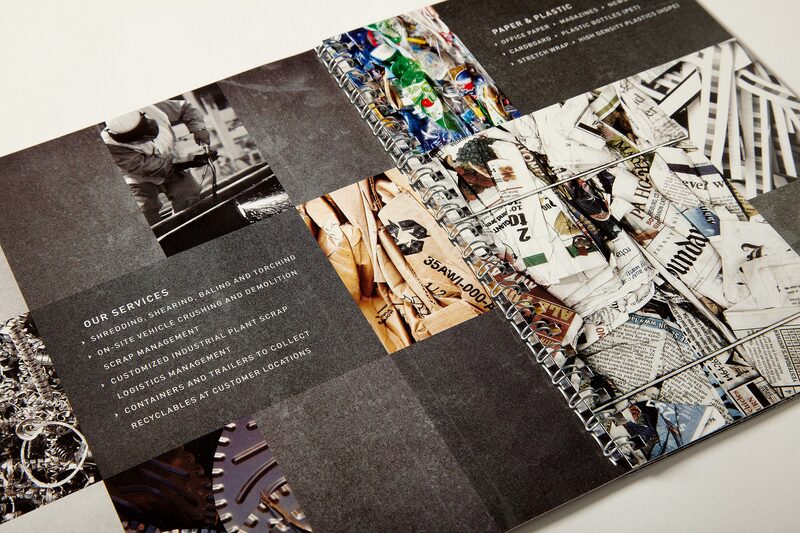 The two spines worked to organize their services in two separate sides of the brochure — ferrous and non-ferrous metals on the left, paper and plastics on the right.